First, the Kenwood deck did not support any lossless formats. 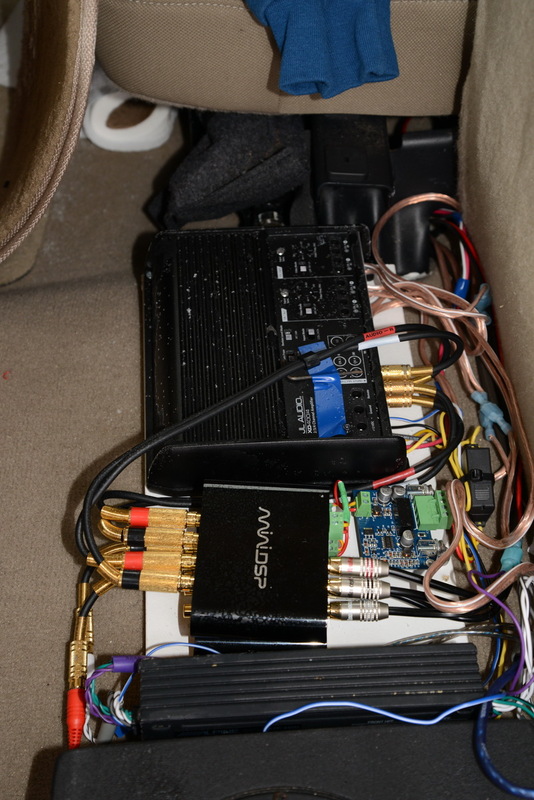 This is when I discovered just how disinterested the car audio world is in sound quality. Very few decks support lossless formats. I did find a Kenwood that at least supports WAV, the KDC X997. 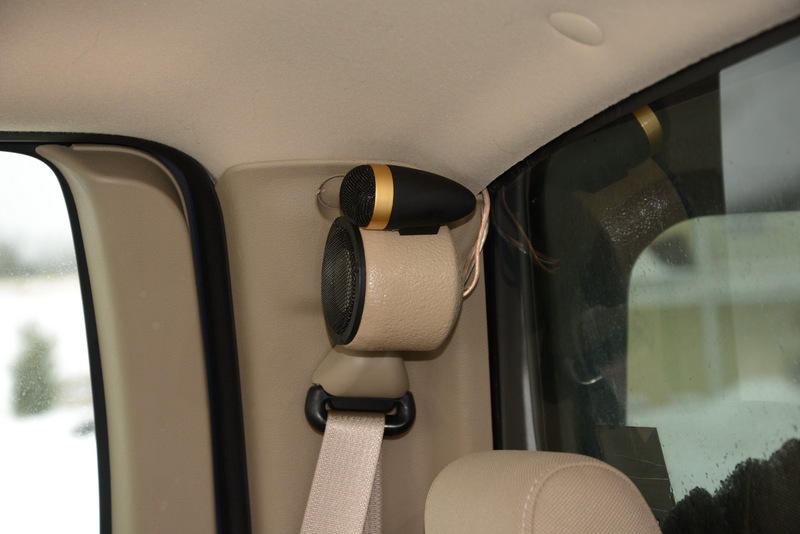 It also supports Bluetooth allowing for hands free cell phone operation. 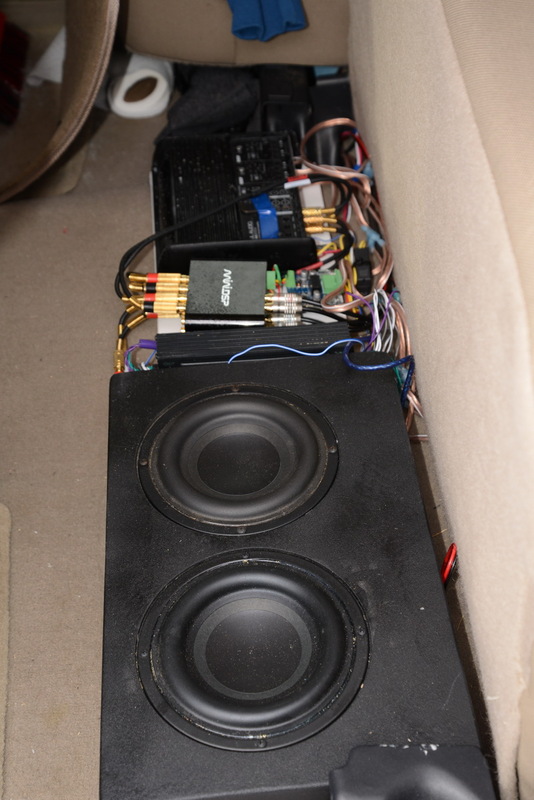 In the end, the JL amplifier drives the Morel 5” MW 144-4 mid-bass drivers and the Vifa ring radiator OT19NC00-4 PE# 264-1122 in the front doors using the miniDSP to manage the crossover and EQ. A second miniDSP manages the EQ for the two Tang Band subwoofers which are driven by two channels of a 4ch Alpine KTP 445U. The remaining two channels of this amp drive 5.25” Peerless drivers in the rear doors which use passive LP filters at 600Hz. 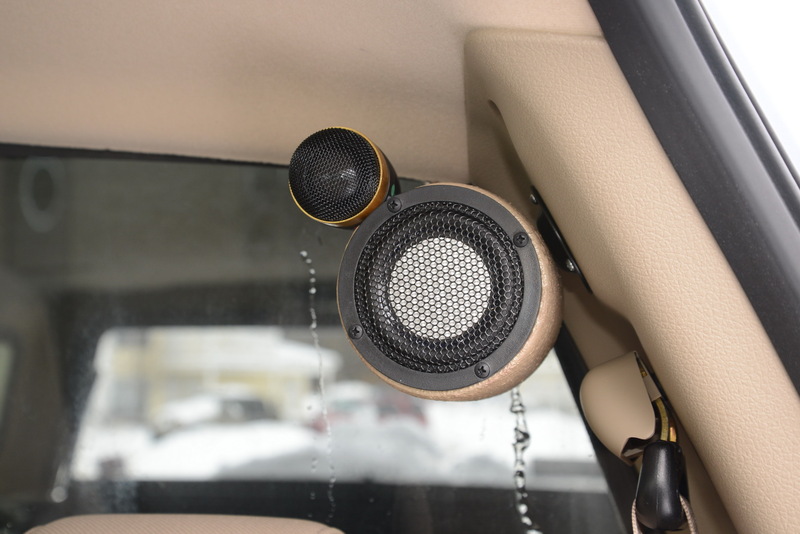 I had spent some time searching for any available mid-tweeter module to mount on each side of the rear window but could not find anything acceptable… so I made my own! Using a PVC end cap and an MDF front baffle, I used a Tang Band 3” W3 1797S (PE# 264-888) along with a Hi-Vi tweeter (TN28 PE# 297-409 no longer available). 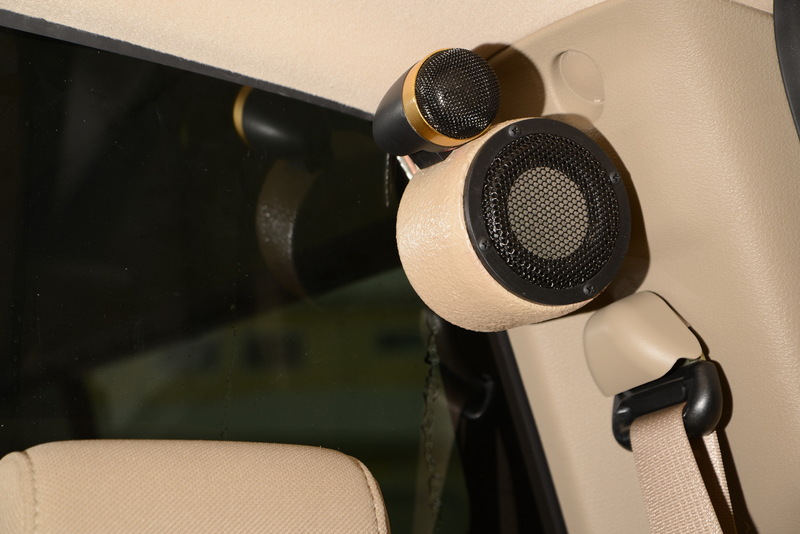 The crossover and EQ is managed by a third miniDSP and the amplifier is a second Alpine KTP 445U. So, twelve channels of amplification, three DSP processors, much better speakers and it’s finally done… or is it. 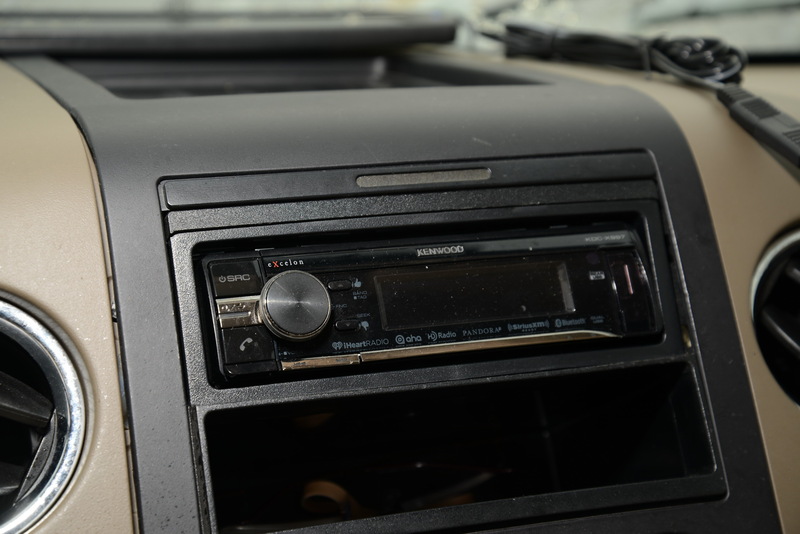 Thinking of replacing the Kenwood deck with a JVC Navigation deck to get GPS navigation and the ability to play FLAC.